The Research Loop is designed to close the gap that happens after research is published and before new research starts, giving patients and caregivers a chance to take part in all aspects of the research process. Most research is done without patients or caregivers. A researcher will begin, conduct, and publish their research in an academic community far removed from the realities of patient life. More and more there are initiatives to include the public in the research, but even then, patient and caregiver involvement is limited. If patients or caregivers are asked to be involved at all, only a few are asked to take part in design, few are invited and accepted as research subjects, and fewer are asked to help run the research or with the final publication. The research process remains a linear trajectory from start to finish leaving little room for patient involvement. But what if there were a way for patients to give feedback, a way to give patients and caregivers a voice that will touch all of these points of research and help direct further research? What if instead of a research process, it was a research loop? The Research Loop aims to transform research by adding the patient and caregiver voice in a whole new way. 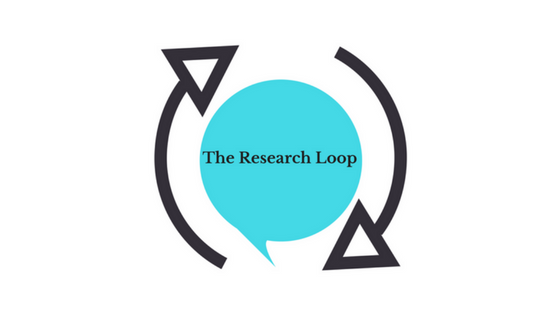 The Research Loop allows patients and caregivers to submit comments on research they recently read, which is then sent back to the researchers or funders of the research. Patients and caregivers can comment on everything from the study design, to the way the research was conducted, to the conclusions the researchers came to with their findings. With this feedback, researchers can then incorporate these ideas into their future projects. For example, if a patient brings up questions with the design, perhaps the researcher might consider redesigning their next study to address these issues. If a caregiver says they agreed with the research findings and propose other aspects to study in the future, the researcher might have the encouragement they need to keep pursuing this line of research and to make it more robust. Both critical and positive feedback can make an impact and in this way patients and caregivers become partners in the entire research process, a process no longer limited to a few select patients but to anyone across the world. Patients and caregivers are engaged and want to have a say in the research that affects them, but the opportunity to engage in research are limited. The Research Loop gives patients and caregivers that opportunity.